Welcome to Monday! Make someone smile today! I have been trying many salad recipes lately. 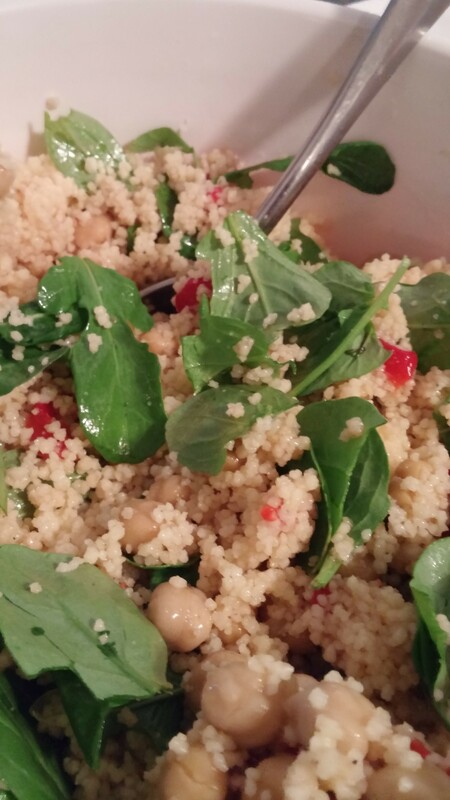 I found this one online which was suppose to be quinoa, however I grabbed couscous at the grocery store by mistake. 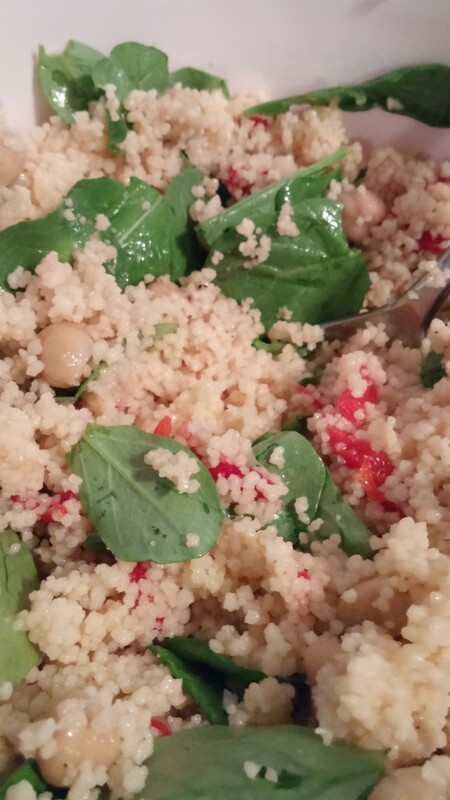 So it turned into couscous salad! It actually worked out well and was well loved when I served it! It is a nice salad to throw together in a hurry as you can have most of the ingredients on hand in your pantry. ENJOY! 1 box Couscous, cooked according to the package directions and cooled. Combine the couscous, garbanzo beans and pimentos, stir until combined. Add in the arugula, using less or more per your taste. Mix all the dressing ingredients together. Pour dressing over the salad and toss. Refrigerate until ready to serve. quick, easy and delicious!